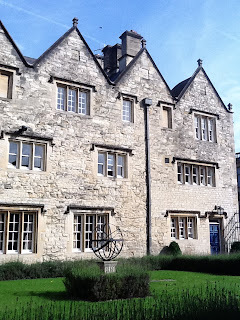 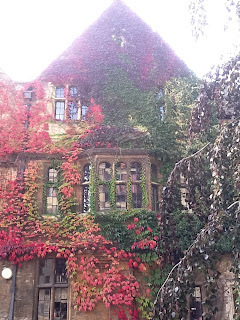 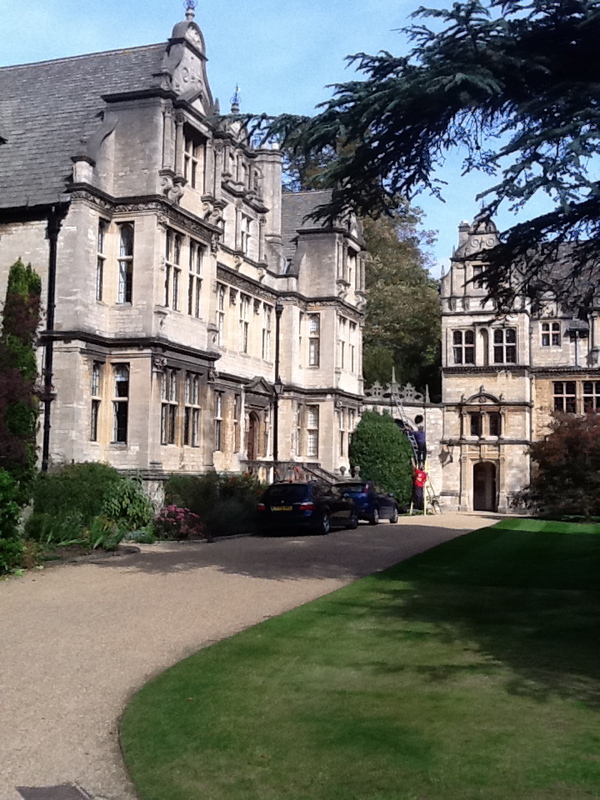 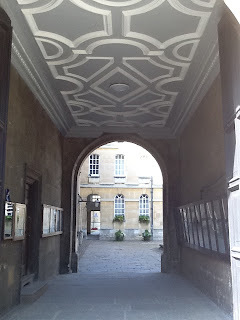 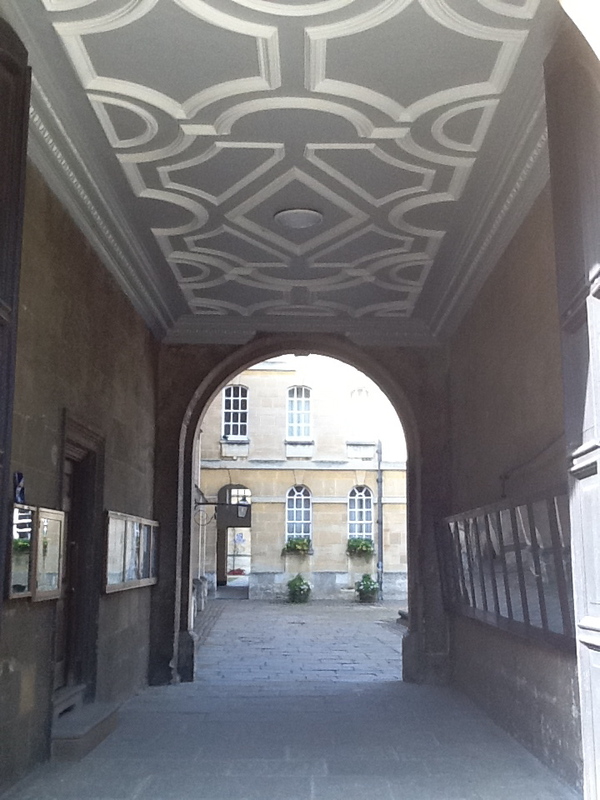 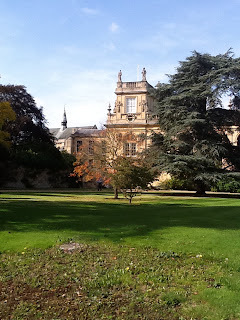 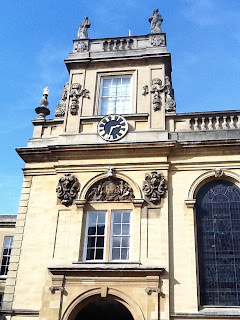 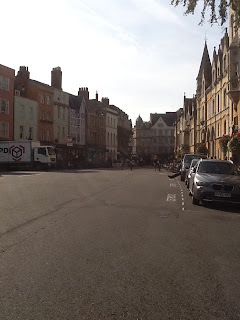 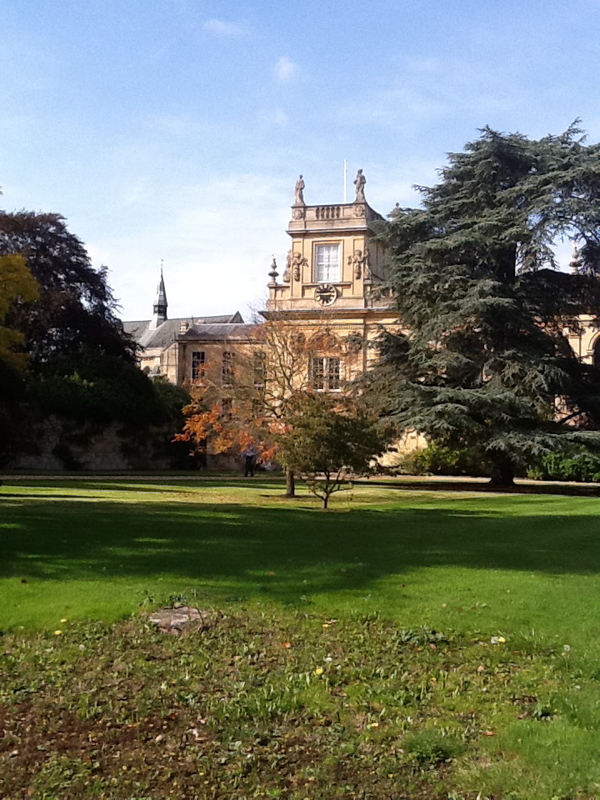 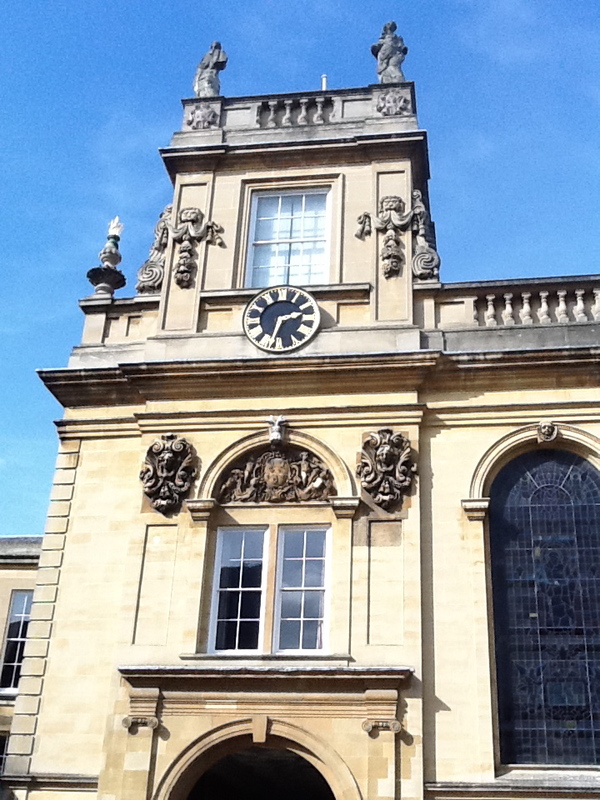 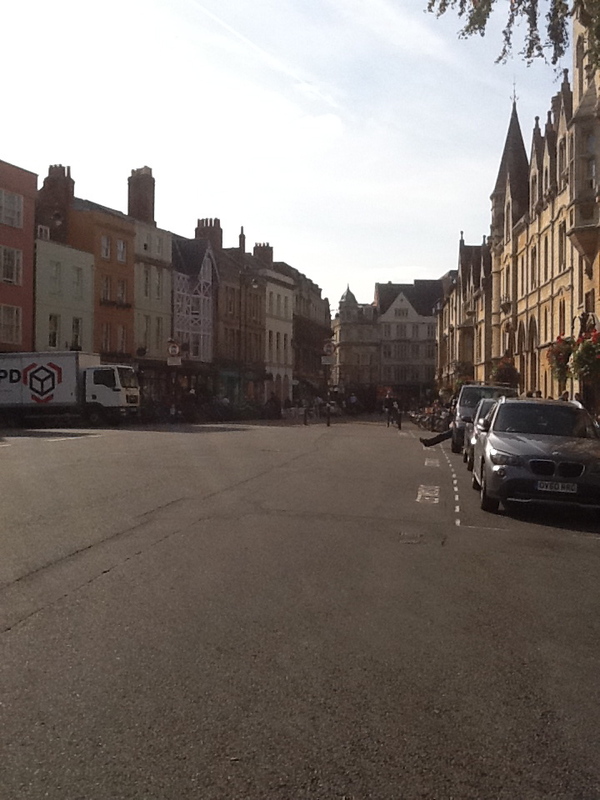 We visited the scholastic town of Oxford and I was captivated by the architectural elegance of this beautiful city. 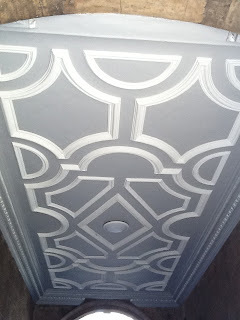 The detailed molding, beveled edges, and colors are magnificent. 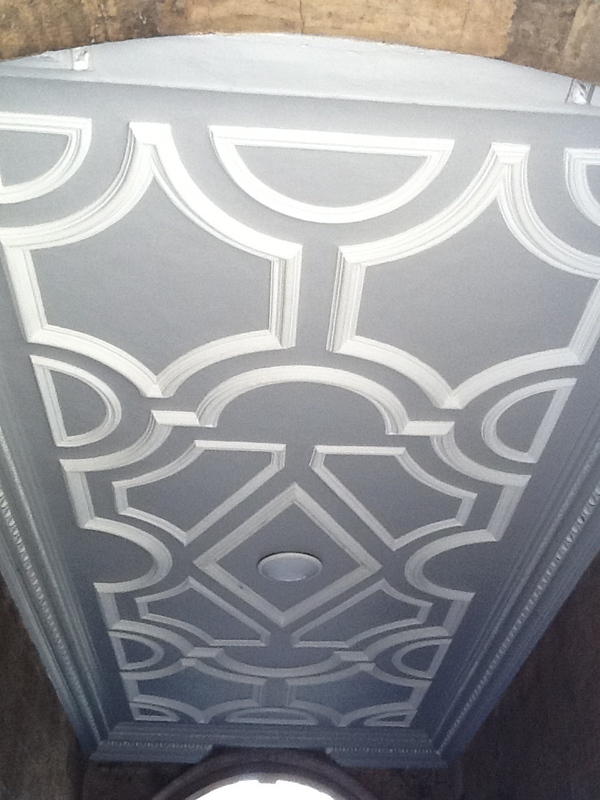 As with anything, the devil is in the details. 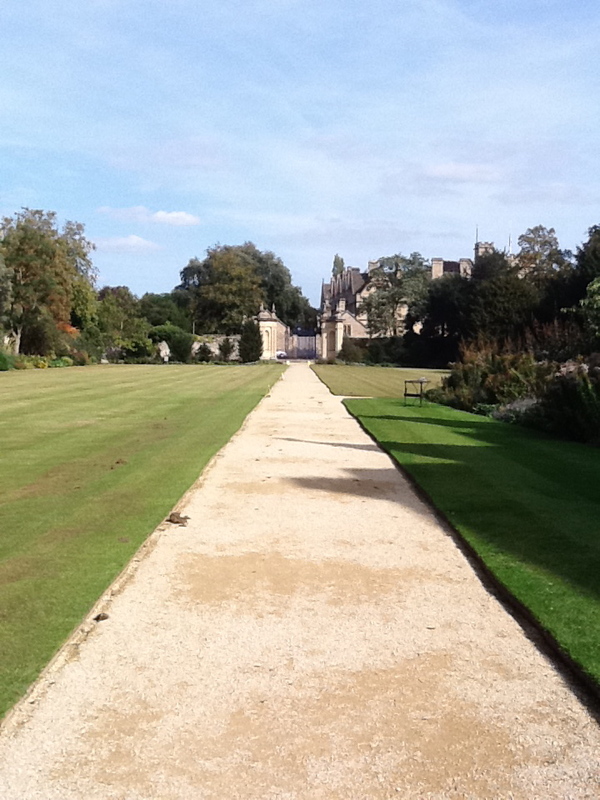 The British have always lead quite polished lives which is the result of a great attention to detail. 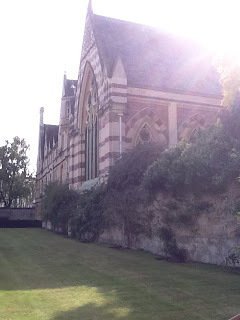 The same is true of their architecture, the buildings are magnificent in their own right but when combined with lush well manicured gardens a certain brilliance emerges. 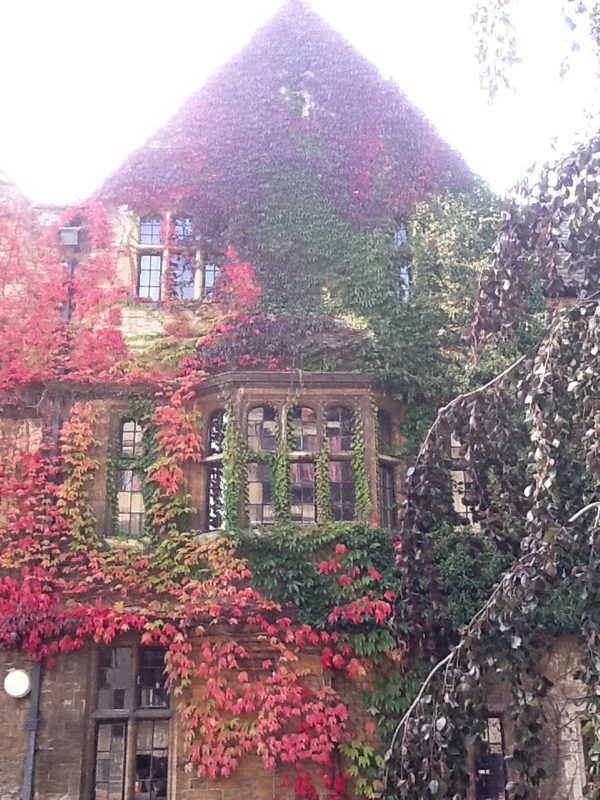 The colors of this ivy only enhanced the existing beauty of this building. 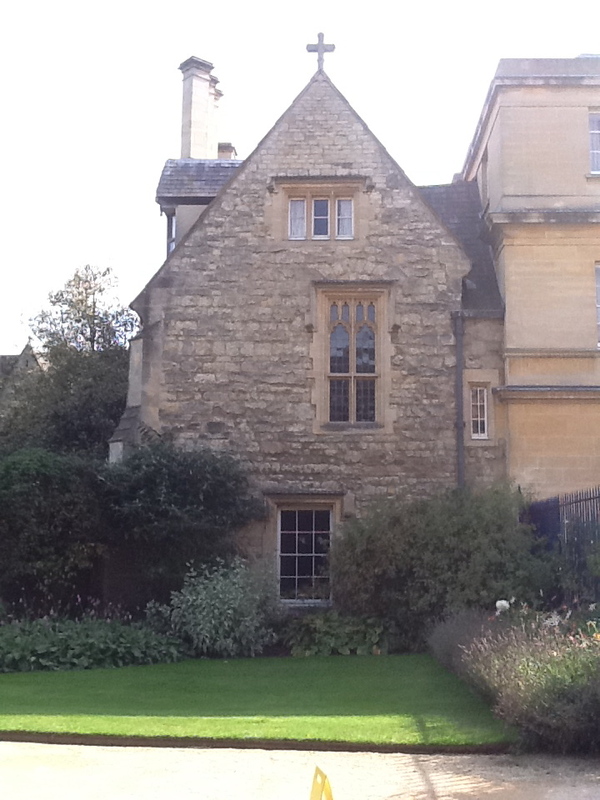 The leaded glass windows & aged stone are quintessential British architectural elements that I admire greatly.